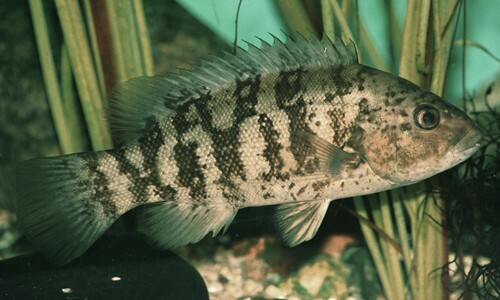 Spends most of its life in fresh and brackish tributaries, including streams, creeks, rivers, lakes and ponds; some may live in the Bay’s shallow waters. Active at night; during the day, eels usually hide under a rock or bury themselves in bottom sediments. The American eel is a smooth, snake-like fish with a greenish, yellowish-brown or blackish body. 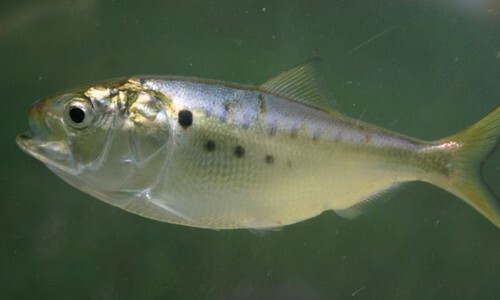 It lives in rivers, streams and other freshwater areas throughout the Chesapeake Bay watershed. The American eel has a greenish, yellowish-brown or blackish body with a whitish belly. Its continuous fin streatches around its rounded tail from its back to its belly. Males grow to two feet in length and females grow three to five feet in length. This eel feeds at night on worms, small fish, clams and other mollusks, and crustaceans such as soft-shelled crabs. Larger fish and fish-eating birds such as gulls, eagles and ospreys prey on the American eel. Eels are catadromous, meaning they live in freshwater rivers and spawn in the ocean. In October, sexually mature eels swim out of the Bay to the Sargasso Sea, an area of the Atlantic Ocean east of the Bahamas. In January, the eels spawn there, then die. Tiny eel larvae drift in the ocean for 9 to 12 months. 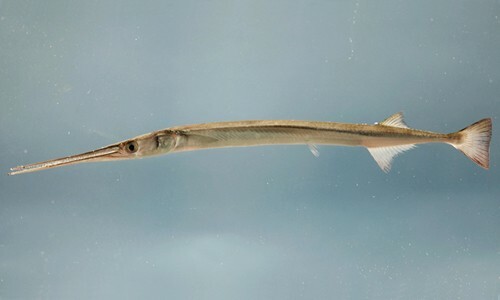 During this time, larvae transform to the “glass eel” stage. Ocean currents carry the transparent glass eels thousands of miles to the U.S. coast. Before entering the Bay, the glass eels become pigmented. These brown eels, called elvers, are only about 2.4 inches long. Some elvers stay in the Bay, but most continue to swim many miles up the Bay’s rivers to fresh water. After a few months, the elvers transform into the adult “yellow eel” stage. Adults remain in freshwater rivers and streams for the majority of their lives. Once they reach sexual maturity, they return to the Sargasso Sea to spawn and die. American eels usually live for at least five years, though some eels can reach 15 to 20 years old. The American eel is the only catadromous fish in the Bay region, migrating downstream to the ocean to spawn. During their migration back up the Bay’s rivers and streams, American eels overcome multiple obstacles to reach their destination. They can slide over rocks, dams, wet grass and other seemingly impassable blockages. Some people think that eels are snakes, but they are actually fish. Although many Americans think eels are slimy and gross, in Asia and Europe they are considered a delicacy. Most of the eels caught in the Bay region are exported overseas.